Eyelid surgery can really help your look. 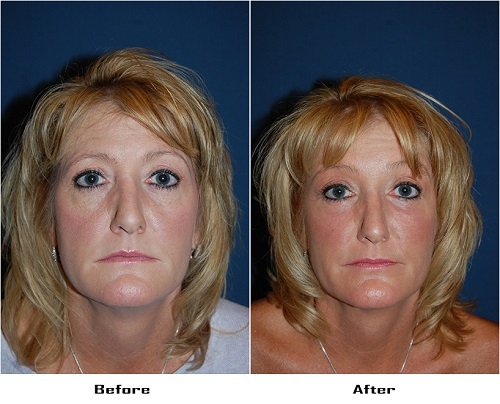 If you’re in your late forties or fifties and trying to make yourself look younger, getting an eye lift really works. A survey this year found that people who had blepharoplasty, or eye lid surgery, done came out on average looking more attractive, more energetic, and slightly younger than people who didn’t. This makes a certain amount of sense — the eyes are the part of the face we focus most on, and even a small change to the eyelids can have a much larger effect than a change to a different part of the face. There are medical reasons why someone might need eye lid surgery. Heavy eyelids and weakening of the eyelid muscles may make it difficult to see properly if you can’t quite open your eyes all the way. The good news is that if you need eye lid surgery for medical reasons, you might be able to get it partly paid for through insurance or Medicaid. Dr. Sean Freeman is Charlotte’s most experienced facial plastic surgeon. He has practiced only facial plastic surgery since 1988, including procedures on the eyelids. He runs a state-of-the-art facility and has made a YouTube video that explains the procedure and shows several before and after photos of his eye lift patients. If you’re interested in an eye lift, make an appointment today or ask for an online consultation so you can take advantage of the discount on the consultation fee.